HALBAN Under the patronage of HH Sayyid Faris bin Fatik bin Fahar Al Said, students and staff of the German University of Technology in Oman (GUtech) have celebrated the 47th Omani National Day at the university campus. 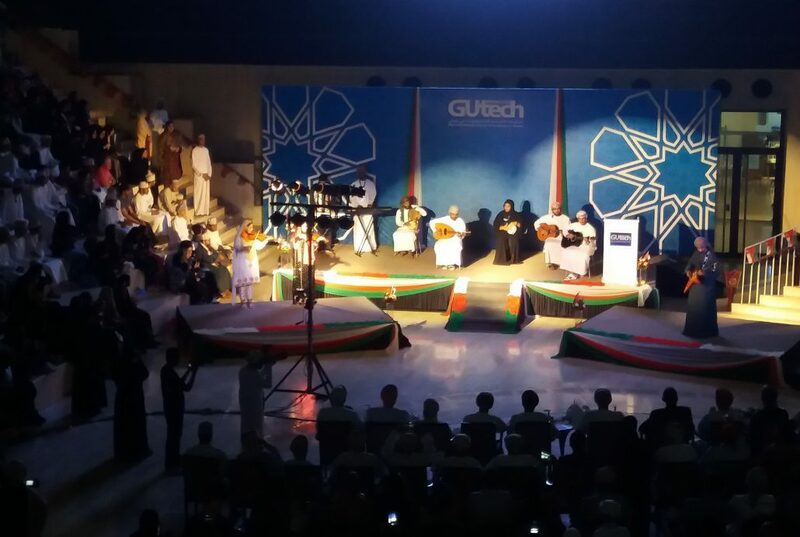 The official part of the celebrations started in the evening with the Omani National Anthem, followed by a welcome speech by the Rector of GUtech, Prof. Dr. Michael Modigell as well as Omani music performances, a student video, a traditional band and poetry. Prior to the event students showcased a photo and arts exhibition along with a bazaar with various food stalls. In addition, a traditional Omani shuwa dish (lamb meat with spices) was cooked in the ground.